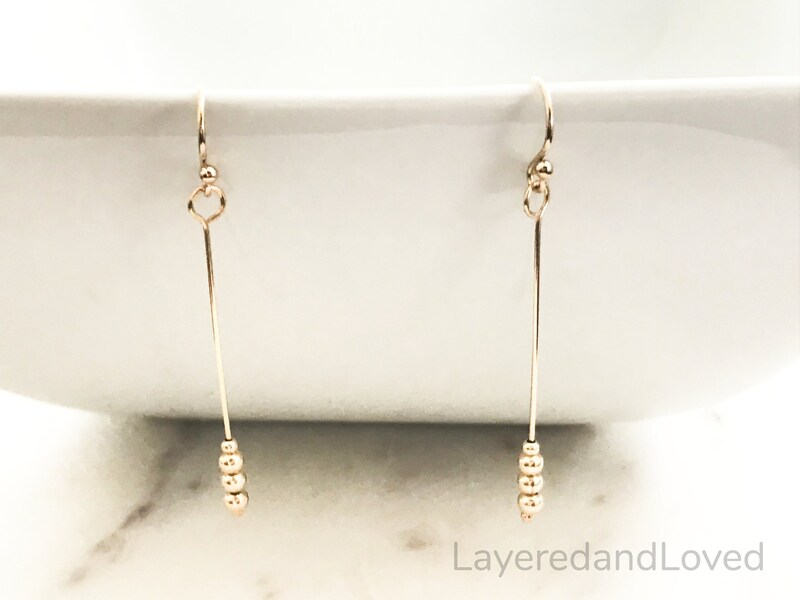 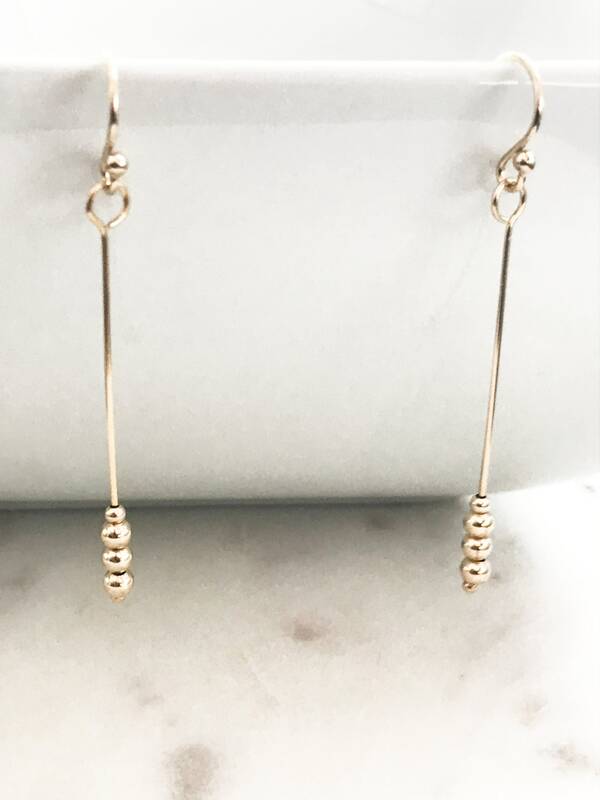 ♥ 100% 14k Gold filled dangle drop earrings. 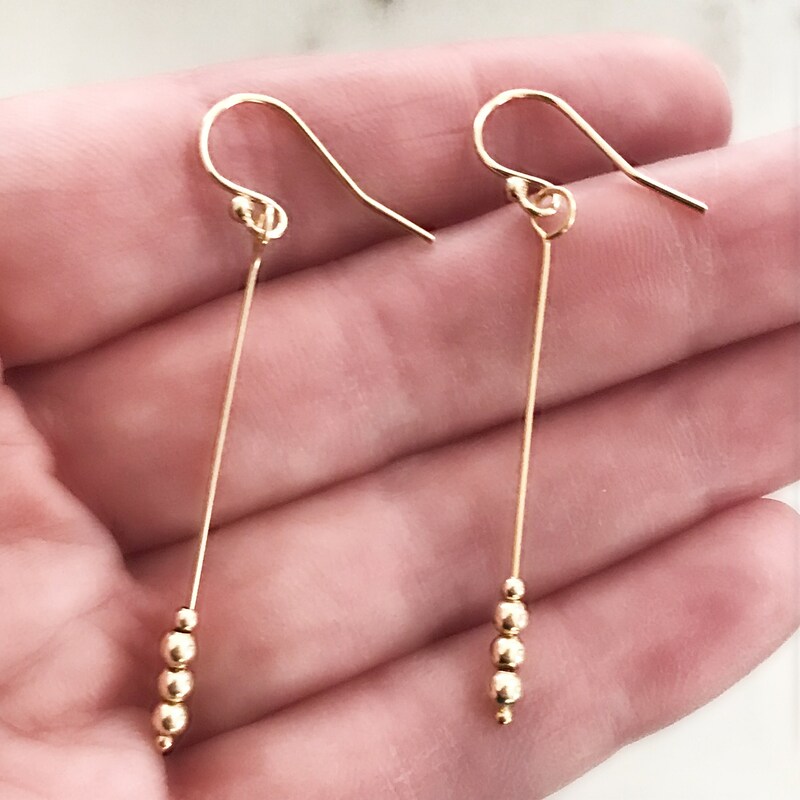 These beauties have floating gold filled beads on a stick straight wire. 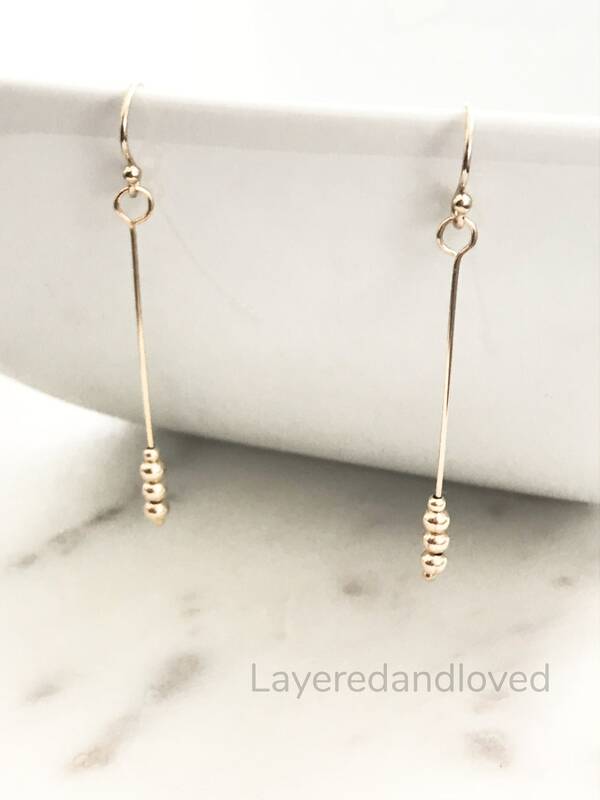 Length approximately 1.5". 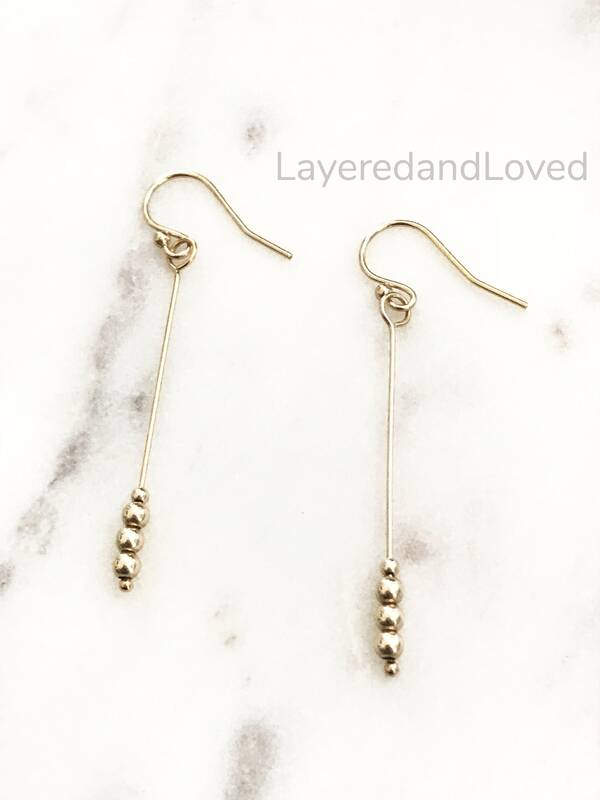 Lightweight, dainty and perfect with any outfit, casual to dressy.